On June 26, 1898, German aircraft designer and manufacturer Wilhelm Emil “Willy” Messerschmitt was born. Probably Messerschmitt’s single most important design was the Messerschmitt Bf 109, designed in 1934 with the collaboration of Walter Rethel. The Bf 109 became the most important fighter in the Luftwaffe as Germany rearmed prior to World War II. To this day, it remains one of the most-produced warplanes in history, with some 34,000 built. 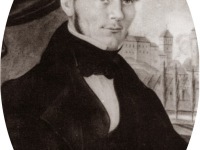 Willy Messerschmitt was born in Frankfurt am Main, the son of Baptist Ferdinand Messerschmitt, a wine merchant, and his second wife, Anna Maria née Schaller. 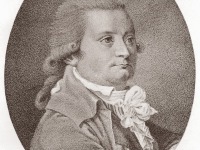 At age 7, Messerschmitt’s father relocated the family to Bamberg in Northern Bavaria. 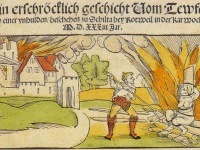 Messerschmitt attended a Bamberg–area Realschule, the secondary school for those planning on a career in science or technology. The area was also home to Friedrich Harth, an architect and glider enthusiast. Gliders and sailplanes were built by early aviation enthusiasts and relied on wind to set them aloft. Harth was an early German pioneer in the field, and Messerschmitt joined him in designing, constructing, and testing the planes, which bore the designation “S” (for Segelflugzeug, German for “sailplane”) and a number. When Harth was called into military service with the outbreak of World War I in 1914, Messerschmitt remained behind and kept working on their S5 glider. In 1917, Messerschmitt himself signed up for military service. Following the war, the two were reunited and continued to work together while Messerschmitt commenced to study at the Munich Technical College and Harth built aircraft at the Bayerische Flugzeugwerke. The S8 glider they designed and built together in 1921 broke a world duration record (albeit unofficially) and they went into partnership for a while running a flying school. In 1923 Messerschmitt founded his own aircraft company at Augsburg, where at first, Messerschmitt built sailplanes, but within two years had progressed via motor gliders to small powered aircraft. The production of the Messerschmitt M20 light transporter brought economic success until in 1928 two Deutsche Luft Hansa M20s were involved in serious crashes, one carrying eight officers of the Reichswehr, or German Army, which led the airline to cancel their order and thereby caused a serious cashflow problem for the company that led to its bankruptcy in 1931. The rise of the Nazi Party in Germany to power in January of 1933 provided an unexpected boom to Messerschmitt and his business. Collaborating with Robert Lusser, Messerschmitt designed the flagship product of the relaunched company, a low-wing four seater monoplane called the Messerschmitt M37, but better known by its later RLM designation of Bf 108 Taifun (Typhoon) that could carry over 1,500 kg and reach speeds of nearly 300 km/h. The following year, Messerschmitt would incorporate many advanced design features of this aircraft into the Bf 109 fighter. It had retractable landing gear and was capable of speeds of 600 km/h. Another former World War I ace and fan of Messerschmitt’s planes, Ernst Udet, became head of the Technical Office of the RLM, who urged a large–scale order of the Bf 109, and 35,000 of them would eventually be produced over the next decade. The plane became Messerschmitt’s most enduring legacy in aviation history and made up a vital part of German airpower during World War II. When in 1936, the Messerschmitt Bf 109 won the RLM’s single-seat fighter contest to become one of the main Luftwaffe aircraft types, Messerschmitt and his factory took an important role in the RLM’s armament plans, increasing in significance even further when Messerschmitt’s Bf 110 also won the multi-purpose fighter contest. 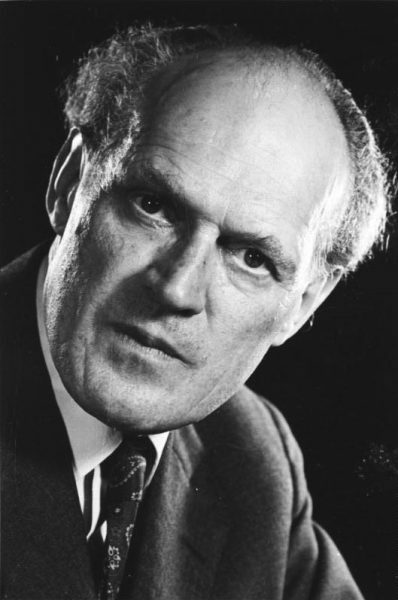 In 1938, Messerschmitt was appointed chairman and managing director of Bayerische Flugzeugwerke (BFW) and the company was renamed after him to Messerschmitt AG. On 26 April 1939, Flugkapitän Fritz Wendel, flying the Me 209 V1, set a new record of 755.14 km/h (469.22 mph). 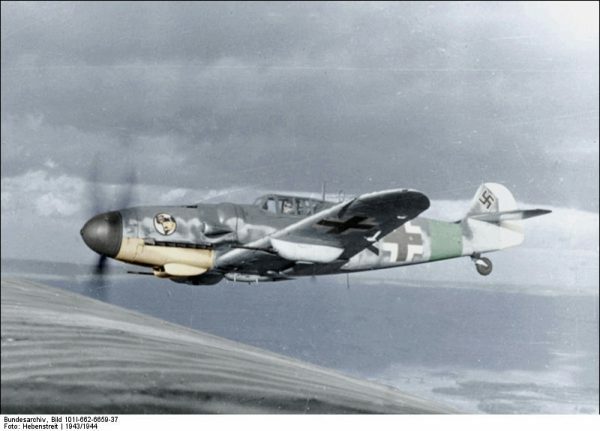 For propaganda purposes, the machine was called the Me 109R, suggesting it was just another variant of the standard fighter, but in fact it was a racing aircraft having little in common with the Bf 109. This same year, the company began work on what would eventually become the Me 262, the world’s first jet powered fighter airplane that entered service, and of the Messerschmitt Me 210, planned as successor for the Bf 110. The company also worked on the Me 264, a four–engine long–distance carrier nicknamed the “Amerika–Bomber” for Germany’s planned air assault on the United States. 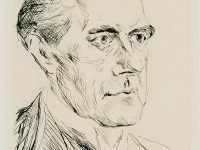 Following World War II, Messerschmitt was tried by a denazification court for using slave labor, and in 1948 was convicted of collaborating with the Nazi regime. After two years in prison, he was released and resumed his position as head of his company. Since Germany was forbidden to manufacture aircraft until 1955, he turned his company to manufacturing prefabricated buildings, sewing machines, and small cars — most notably the Messerschmitt Kabinenroller, a combination bubble–car/motorcycle. He designed the Hispano HA-200 jet trainer for Hispano Aviación in Spain in 1952 before eventually being allowed to return to aircraft manufacturing in Germany to licence-produce the Fiat G91 and then Lockheed F-104 Starfighter for the West German Luftwaffe. He designed the later Helwan HA-300, a light supersonic interceptor, for the Egyptian air forces, which was his last aircraft design. Messerschmitt’s designs were characterized by a clear focus on performance, especially by striving for lightweight construction, but also by minimizing parasitic drag from aerodynamic surfaces. 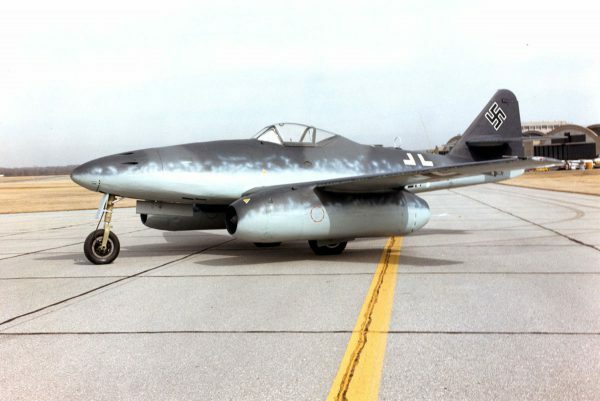 Messerschmitt’s design philosophy becomes evident in his arguments with Alexander Lippisch, who was designing the tailless Me 163 rocket fighter for production at the Messerschmitt works. While Lippisch maintained that the tailless design had an advantage, in principle, with regard to total drag, Messerschmitt pointed out that the design compromises necessary to make a tailless aircraft safely controllable defeated this purpose by increasing drag to the original level and above.